If you had to explain what a rock bassist is to an alien invader... play them a track with Paul Gray! 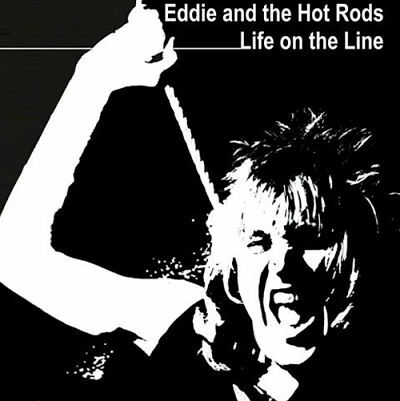 The Essex native anchored two iconic British ensembles - Eddie and the Hot Rods, and The Damned. The Rods were renown for their high energy meld of rhythm and blues, power pop, and punk - no history of UK pub rock is complete sans homage to the Southend-on- Sea lads. With The Damned, Paul was on board for two studio slabs - The Black Album (1980) and its follow-up Strawberries (1982). And he helmed the incendiary Live Shepperton 1980. Gray also plied his craft with Rob Tyner of MC5 fame, UFO, Johnny Thunders and the other bloke in Wham! Andrew Ridgley. Paul oft strummed his Rickenbacker 4001 akin to a rhythm guitarist as he pumped out pocket grooves and song serving counter-melodies. A producer, writer, recording artist, and collaborator Paul also worked extensively with Community Music Wales which supports emerging artists in Cardiff. Nowadays you can hear Paul with The Damned and on record with Professor and the Madmen which also features his Damned bandmate Rat Scabies on their latest slab Disintegrate Me (2018). Mr. Gray is decidedly up on the mix with PATM - which traverses pop, punk, hard rock, psychedelic, and permutations thereof.